It all started about three years ago when we first advised readers who were inclined to so gamble, that the only way to win in a rigged, maipulated market, one in which central bankers are now Chief Restructuring Officers and will not allow even a modest correction to asset prices, that the easiest way to generate “alpha” was to go long the most hated names. The answer is simple: as we have said on many occasions in the past year, simply do the opposite of what hedge funds are doing. As the market rotated away from momentum and popular positions, the stocks least owned by hedge funds soared. Goldman’s Low Concentration Basket (GSTHHFSL) consists of the S&P 500 firms with the smallest share of market cap owned by hedge funds. This strategy has posted a mediocre historical performance record, outperforming the S&P 500 in 53% of quarters since 2001. This year, however, the basket has outperformed the S&P 500 by 541 bp (0% vs. -6%) and outperformed by nearly 9 pp during the past six months, equating to its strongest six-month return outside of 2008 and 2002. Investors who believe hedge funds are wrong and will remain directionally wrong and who wish to own equity risk but remain relatively insulated from the volatility caused by changes in hedge fund positioning should find this basket attractive. New constituents include ORCL, CVX, and UPS. This post was published at Zero Hedge on 05/20/2016. Gold Exchange Traded Funds ( ETFs) are among the American Public’s most popular methods to hold, trade or speculate in gold. They were first offered in the 1990’s. The largest, SPDR Gold Shares, began in 2004. The early ETFs encountered significant resistance because gold believers demanded physical possession of their gold. In this fashion they avoided worrying about the entity holding their gold assets. They were sufficiently concerned with the viability of the dollar or the advent of a financial crisis, without adding another layer of fear that they couldn’t get their gold if they wanted it. However, as time passed, and more unsophisticated Americans realized they needed the protection of gold, the early reticence to the gold ETFs was overcome. Today, the public has embraced the gold ETFs. Anyone with a stock account can purchase or sell virtually any amount of the yellow metal in a matter of minutes. Commissions are low. Storage concerns and finding a coin or bullion dealer from which to buy or sell their gold, are things of the past. SPDR Gold Shares alone holds over 27 million ounces of gold worth $35 billion. Their fees appear low at a 0.4% daily compounded rate, and their gold is held in trust in London by the venerable HSBC Bank Plc. The Bank of New York Mellon Asset Servicing, a division of the trusted Bank of New York Mellon, is the trustee. While they don’t claim to have insurance for the gold they hold in trust, this troubles me less than another potential far greater concern. On April 5, 1933, President Franklin D Roosevelt issued Executive Order 6102 which prohibited gold ownership, and forced Americans to surrender their gold. That was during the depths of the Great Depression. The prior few years witnessed countless U. S. bank runs with numerous banks going bankrupt. People lined up before their banks in an effort to get the money they had deposited. Many were unsuccessful. This post was published at GoldSeek on 20 May 2016. This gold chart should have Central Banks extremely worried. Why? Because the change in physical gold and Central Bank demand since the first crash of the U. S. and global markets in 2008 is literally off the charts. I advise precious metals investors not to focus on the short-term gold price movement, rather they should concentrate on the long-term trend changes. This is where the ultimate payoff will be by investing in gold. Now, I say ‘INVESTING’, in gold because that is what we are doing. Many analysts such as Jim Rickards don’t believe that gold is an investment. Mr. Rickards looks at gold as money or insurance on the collapse of the U. S. Dollar and fiat monetary system. 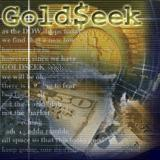 However, I look at gold as an investment due to the collapse of U. S. and World energy production. While I have been a broken record on this, many investors still don’t understand what I am trying to get across here. Gold and silver are more than money today because of the 40 year funneling of investors funds away from REAL ASSETS and into PAPER CLAIMS on future economic activity. Thus, 99% of investors have sent their money into the largest Ponzi Scheme in history. This post was published at SRSrocco Report on May 20, 2016. While many of us watch with concern as our economy slowly implodes and central bankers run amok, there are actually some hopeful signs we are moving in the right direction – the direction of sound money, that is. This post was published at Schiffgold on MAY 20, 2016. Yesterday I made the 2-hour drive back to Silicon Valley, where I lived for 15 years before moving out to the country. I rarely go back, as I miss very little about the hyper-elite scene there. When I do, though, I feel I have a useful ‘insider-now-outsider’ perspective that allows me to see things there more accurately than those who live in that fishbowl 24/7. What hit me most strongly upon arriving back in the Menlo Park/Palo Alto area, is how little of the craziness has changed since I left 4 years ago. I don’t mean ‘unchanged’ though; rather that the same craziness is there, just more extreme than ever. The streets still bustle with hipster techies, fashionista spouses, the shiny Stanford students and the less-shiny venture capitalists. Every time I visit, I’m amazed by the latest generation of specialized stores that have sprung up to attend to every want and whim of this trend-driven population. The belief in the area’s bulletproof and never-ending prosperity is as alive and well as I’ve seen it. This post was published at PeakProsperity on May 19, 2016,. While over the past several months the US has had its share of bizarre stories over the latest liberal craze, namely providing transgender bathrooms at public schools or losing access to funds which promptly enraged conservatives across the nation, the most recent development may also be the most surprising one yet: it appears that as the public debate over the treatment of transgender has hit a fever pitch, Oklahoma republicans have had enough and are now looking to impeach Barach Obama. As Reuters reports, Oklahoma’s Republican-dominated legislature has filed a measure calling for President Barack Obama’s impeachment over his administration’s recommendations on accommodating transgender students, saying he overstepped his constitutional authority. So all the other times Obama overstepped his “constitutional authority”, that one could ignore, but this time he really crossed the, er bathoom, line? ‘Road Trains’ Are Ready: Who Wins, and Who Loses? Breathless news that driverless cars are poised to take over the roadways has so far left us skeptical – partly because we believe that the technological challenges to real-world implementation are higher than tech cheerleaders want to believe, and partly because we see that regulators, the insurance industry, and public opinion are likely to provide higher hurdles than commonly supposed. The technological transformation has a way of confounding its early-adopting apostles by taking longer than they think – and then catching the skeptics flatfooted when it finally matures after a period of incubation outside the limelight. April gave us an indication of an incremental movement towards autonomous vehicles – one that will be implemented well before you climb into a Google [NASDAQ: GOOG] or Apple [NYSE: AAPL] car for your morning commute. Although it falls well short of the vision of enthusiastic futurists, it promises dramatic disruptions for many industries and workers and benefits to many other industries and consumers. In April, a dozen trucks traveled autonomously in six convoys across much of northern Europe. The successful trial was in response to a challenge set by the Dutch government, and involved participation by six major European truck manufacturers – Volvo [Stockholm: VOLVB], Scania [Stockholm: SCVB], Daimler [Frankfurt: DAI], Iveco (a subsidiary of CNH Industrials [NYSE: CNHI]), DAF (a subsidiary of PACCAR [NASDAQ: PCAR]), and MAN [Frankfurt: MAN]. The largely self-driving trucks traveled in convoys, or ‘road trains,’ with a lead vehicle followed by other vehicles linked to it by Wi-Fi, and reacting instantly to the actions of the lead vehicle, permitting them to travel much more closely together and realize significant fuel efficiency gains. They had drivers in them, but only for backup, not to manage the vehicles’ movement on the highway. This post was published at FinancialSense on 05/20/2016. Today after a great start for gold and silver, the bankers thought in necessary to raid again. The gold/silver equity shares paid no attention to these antics and rose again today. There is something really bothering them. The amount standing for gold at the comex in May is simply outstanding at 6.6811 tonnes. The previous May 2015, we had only .08 tonnes standing so you can certainly witness the difference as the demand for gold by investors/sovereigns is on a torrid pace. This makes the excitement for June gold that much more intense as more players are refusing fiat and demanding only physical metal. I will be reporting daily as to how which is standing for delivery through the active month of June. June is the second largest delivery month after December. At the gold comex today we had a GOOD delivery day, registering 69 notices for 6900 ounces for gold, and for silver we had 72 notices for 360,000 oz for the non active May delivery month. Several months ago the comex had 303 tonnes of total gold. Today, the total inventory rests at 240.39 tonnes for a loss of 63 tonnes over that period. In silver we had 72 noticeS served upon for 360,000 oz. In gold, the total comex gold OI fell by a CONSIDERABLE 17,504 contracts down to 573,196 as the price of gold was DOWN $19.50 with yesterday’s trading(at comex closing). They certainly got the liquidation in gold but not silver. However our banker boys have another problem in gold which I will highlight below. We had a monster deposit in gold inventory at the GLD to the tune of 8.92 tonnes. The inventory rests at 869.26 tonnes. I have no doubt whatsoever that this was a paper addition as they could not possibly find 10 tonnes in one day. We had a good sized deposit in silver inventory at the SLV to the tune of 951,000 oz . Inventory rests at 336.024 million oz.. This post was published at Harvey Organ Blog on May 20, 2016. The Gold Forward Offered Rate (GOFO) is the swap rate for a gold-to-U. S. dollar exchange. In other words, it is a rate at which someone is ready to lend gold on a swap basis against greenbacks (the benchmark used to be quoted by a few banks involved in the rate-setting process which were prepared to lend gold to each other). For example, if someone owns gold and wants to borrow U. S. dollars, he can use gold as collateral to secure the loan. The GOFO is the interest rate on that loan. Since gold is an excellent collateral (it’s portable and liquid), the GOFO rates used to be relatively small. Actually, certain rates were sometimes negative in what signaled high physical demand. The GOFO started to be quoted in 1989 to increase transparency in the market for borrowing gold. For decades, the LBMA has published GOFOs for one, two, three, six and twelve months each business day at 11.00 a.m. (GMT), serving as an international benchmark and the basis for the pricing of gold swaps, forwards and leases. Unfortunately, the GOFO was discontinued effectively since January 30th, 2015, as Deutsche Bank and Socit Gnrale decided to leave the GOFO rate-setting process in October 2014. It does not mean that there are no longer swaps of gold against the U. S. dollars, but that the gold forward rate benchmark no longer exists (the GOFOs are now quoted individually and are available only to bank customers). Although the GOFO is no longer published, it is still worth understanding, because if we truly grasp the GOFO, we will also understand gold swaps, forwards and leases – the building blocks of the gold wholesale market. Having cashed out a few hundred million dollars worth of stock to some dliuted greater fools – with the help of Goldman Sachs – the ugly face of reality of descending on Elon Musk and his government-subsidized car maker. As Reuters reports, Tesla suppliers are loudly questioning Musk’s production goals as he moved up the launch of high-volume production of its Model 3 to 2018, two years earlier than planned. Tesla Motors Inc has surprised parts makers with plans to move up the launch of high-volume production of its Model 3 to 2018, two years earlier than planned – an acceleration that supplier executives and industry consultants said would be difficult to achieve and potentially costly. Silver mining is a tough business geologically and economically. Primary silver deposits, those with enough silver to generate over half their revenues when mined, are quite rare. Most of the world’s silver ore formed alongside base metals or gold, and their value usually well outweighs silver’s. According to the just-released World Silver Survey 2016 by the venerable Silver Institute, silver largely remains a byproduct. Last year production from primary silver mines accounted for just 30% of the global mine supply. Well over 2/3rds of the 886.7m ounces of silver mined in 2015 was simply a byproduct from base-metals and gold mining! And as rare as silver-heavy deposits supporting primary silver mines are, primary silver miners are even rarer. Most silver-mining companies have multiple mines, including non-primary-silver ones. This isn’t simply due to the geological constraints in finding and developing silver-dominant deposits. The cash flows silver mining generates are relatively small compared to other metals. While base metals are far less valuable, they are found in vastly greater quantities. And while gold is much rarer, it is worth radically more than silver. So it’s even challenging for miners to derive the majority of their revenues from silver. In Q1’16, silver averaged just $14.90 per ounce. That’s pretty dismal, just 0.9% higher than Q4’15’s $14.77 average which was the worst for any quarter since Q3’09’s $14.72. Meanwhile gold averaged $1185 per ounce in Q1’16, a far-superior 7.3% higher than Q4’15’s $1105 trough which was gold’s worst quarter since Q4’09’s $1099. These Q1’16 average prices really help highlight silver mining’s economics. This post was published at ZEAL LLC on May 20, 2016. Less than a month after a still unexplained suicide took place inside a conference room at Apple headquarters, there seems to be more trouble in Silicon Paradise. According to CBS, an incendiary device ignited a fire late Thursday night at the offices of digital giant Google, damaging a Google Earth demo car and leaving a large singe mark on one of the buildings, authorities said. Canada’s March retail numbers decline. Existing homes sales pushed up by speculators purchasing condos. Business loan delinquencies are on the rise signalling a freeze in the credit market. The death cross formation has appeared in the market, the last time this happened back in 2001 and 2008 the market and economy crashed 1 – 2 months later. Japan is preparing for huge loses on its debt holdings. The Gallup poll reported earlier this week that 18 percent of U. S. adults believe the ‘economy in general’ is the most important problem facing the country. This was followed by 13 percent who believe ‘dissatisfaction with government’ is the top problem. Rounding out the third highest response were the 9 percent that believe ‘unemployment and jobs’ are of highest concern. As far as we can tell, these top three responses are one in the same. When the economy is growing, and there are plenty of well-paying jobs, the government gets a pass on its failures. But a sagging economy, and a dearth of jobs, brings out the torches and pitchforks. Scratching the surface a bit more, in search of clarity beneath, we consider whether the Gallup poll is providing the wrong response choices. In particular, how can the ‘economy in general’ be a response to the question of what is the most important problem facing the country today? This post was published at Acting-Man on May 20, 2016. In the first quarter, South Korean shipbuilders saw their orders collapse by 94.1% to 170,000 compensated gross tons (CGT), compared to the prior year. In terms of dollars, orders collapsed 94% from $6.5 billion in Q1 2015 in to just $390 million. Global orders for new vessels in Q1 have collapsed too, but slightly less, according to the Export-Import Bank of Korea, cited by IHS Fairplay: down 71% year-over-year to 2.32 CGT. ‘Their business slump may continue throughout this year, and demand for oil tankers may improve slightly during the second half of the year,’ Korea Eximbank said in the report. Current order backlog will provide work for about two years. For all of 2016, orders are expected to plunge by 85%, from $23.7 billion in 2015 to just $3.5 billion. Chinese shipyards are in even deeper trouble. In May so far, three shipyards went bankrupt and began liquidation: Zhong Chuan Heavy Industry, Zhong Chuan Heavy Industry Equipment, and Zhoushan Xuhua Metal Material. In April, Zhenjiang Shipbuilding, a subsidiary of Sinopacific Shipbuilding Group, commenced reorganization under bankruptcy proceedings. Another subsidiary of Sinopacific, Yangzhou Dayang Shipbuilding, is currently restructuring and plans to lay off 38% of its workforce. This post was published at Wolf Street by Wolf Richter ‘ May 20, 2016.